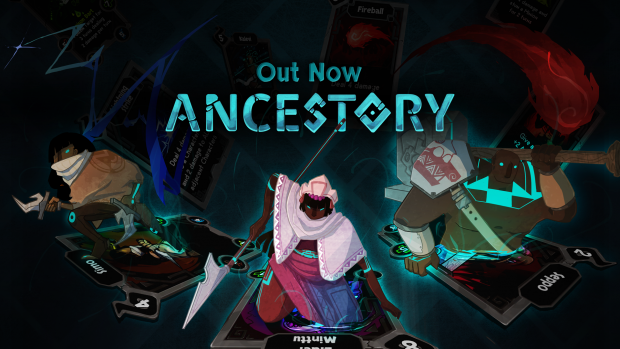 Summon souls of tribesmen and cast devastating spells to vanquish your foes in a mix of turn-based strategy and card game! Tatu here, finally bringing you the full game! Alternatively you can also find the game on Humble Store! We have already started working on some more content and as we have promised earlier, all the content we are currently working on will be free. We do want to leave room for potential larger, paid expansions, but we don't have any plans for such right now. The next updates will include both spells and minions, some of which should be released fairly quickly. From the feedback we have gotten, it seems that people really want more "comeback" spells to help balance in the endgame of a match. We do have plans for maps too and for features we are listening to the community on what should be worked on next. We hope to see you all on the battlefield and be sure to follow and like us too! Update #16 - Release date announced with a Cinematic Trailer! We have just released an awesome Cinematic Trailer for Ancestory and the actual full game release is now just around the corner! Update #15 - With a new trailer, Ancestory races to Closed Beta! We've hit a new major phase in the development and have just posted a new video to celebrate hitting the Closed Beta phase! Update #14 - New Video and in-depth Level Design! We have prepared you a new video for this update and will take you through our process of designing new levels for Ancestory. In this update we take you through the whole process of redesigning all of our cards and how we gathered and addressed crucial feedback. Will we be seeing any news in the near future? I'm interested to see how development is coming along (especially now that I'm doing VO for you guys, hehe). This is Stellarcirclefive by the way. I'm a dunce and forgot to log in to my IndieDB account. is this f2p or p2p ? thank you for the kind comment. We are currently planning to have sell it as a premium priced title, but still continue working after launch off course. We are still looking at other options as well depending on what our awesome community thinks, but premium is our plan at the moment. Interesting idea. Totally unique and I love the art style!